Thanks to a meta end-credits sequence, Cable is effectively locked down for an appearance in Deadpool 2, when the musclebound baddie will surely give even the Merc With a Mouth a run for his money. Of the three names teased by Ryan Reynolds himself – Mel Gibson, Dolph Lundgren and Keira Knightley – a new report coming by way of Nerdist has revealed that one star has now entertained the idea of joining Deadpool 2. And no, it’s not Keira Knightley. 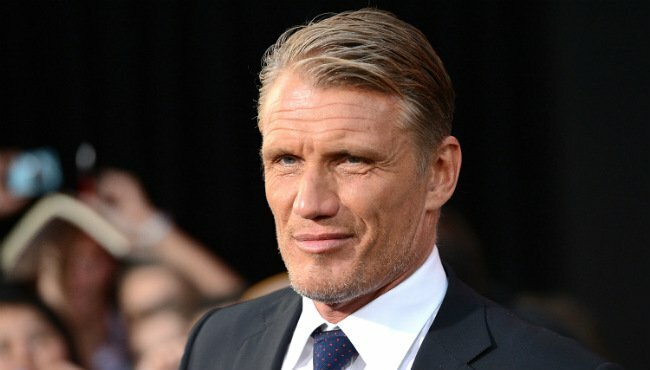 Ever since Deadpool blasted into theaters earlier in the year, the likes of Jon Hamm and Avatar star Stephen Lang have emerged as prime candidates for the role, and while he doesn’t necessarily sound overly enthusiastic, Dolph Lundgren did entertain the notion of taking up arms as Cable. He’s not the only one to bring up Deadpool 2 in conversation lately, with T.J. Miller revealing to Entertainment Weekly that he’s not only game to return for the sequel, but also to appear in the X-Men universe via cameos. “Deadpool is not going anywhere anytime soon. I think there’s probably going to be three more installments, a Weasel spin-off. I’m contractually obliged to do the cameos in other X-Men universe stuff, so there’s plenty more Deadpool to come,” said Miller. The fact that the actor is contractually obliged to appear in other films as Weasel is certainly promising, but what of the chances of a spinoff movie based on his sly character? Deadpool recently stormed onto Blu-ray and DVD, and it’s expected Tim Miller, Reynolds and Co. will reunite for the inevitable sequel at some point in either late 2017 or early 2018.